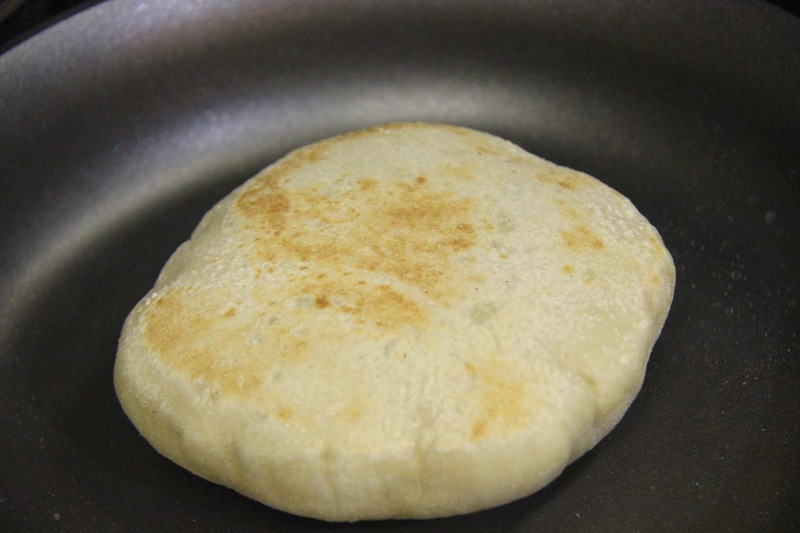 Pita is a mediterranean bread made with wheat flour left to rise with yeast for a couple of hours and then cooked on a pan or stone to puff up and form pita pockets.Cut in half the pita pockets are used to stuff middle eastern foods like falafel,kebabs,gyros etc with dips like hummus,shatta,baba ghanouj,tzatziki etc or as part of Mezze Platter. 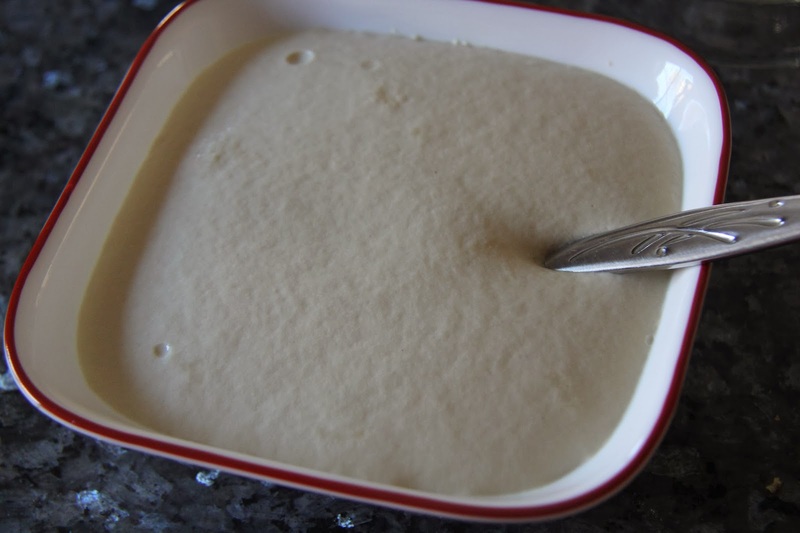 1.Add the yeast and sugar in the warm water, stir and let rise for 15 minutes. 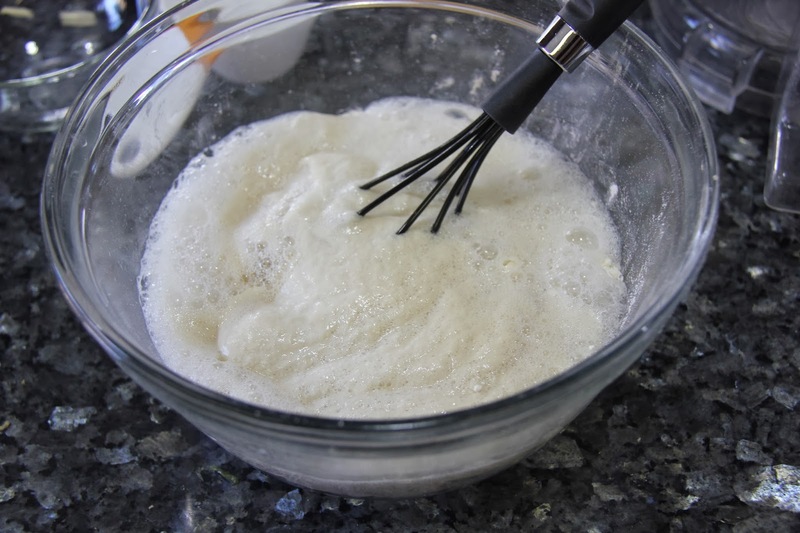 2.Sift the flour and salt and keep aside. 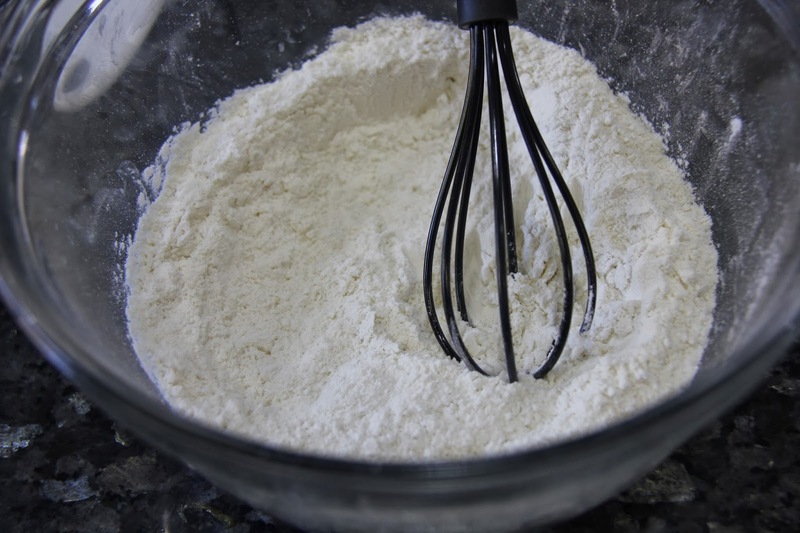 3.Add the Yeast mixture to 1 cup of flour and combine well. 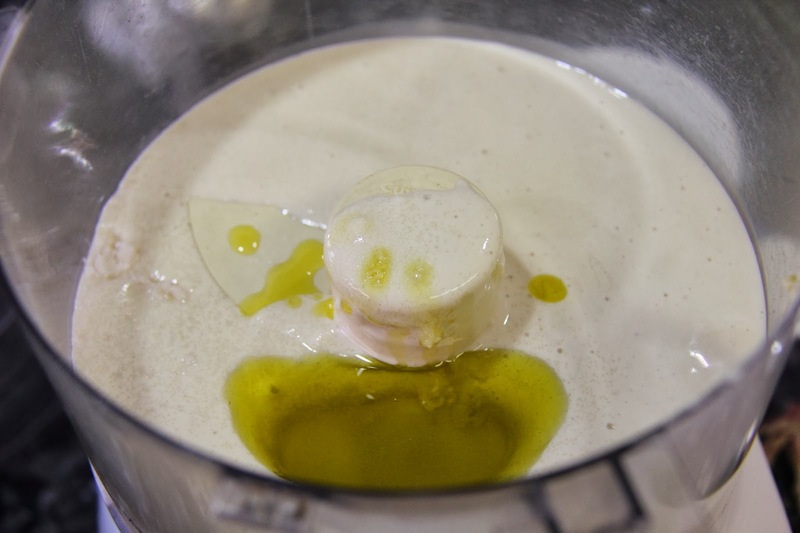 4.Add in the rest of the flour, olive oil and form a soft dough. 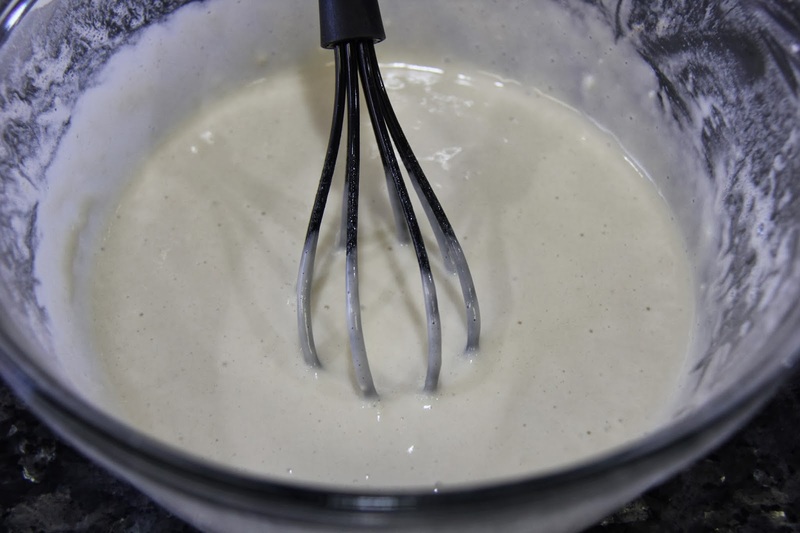 If your dough is too sticky add more flour. 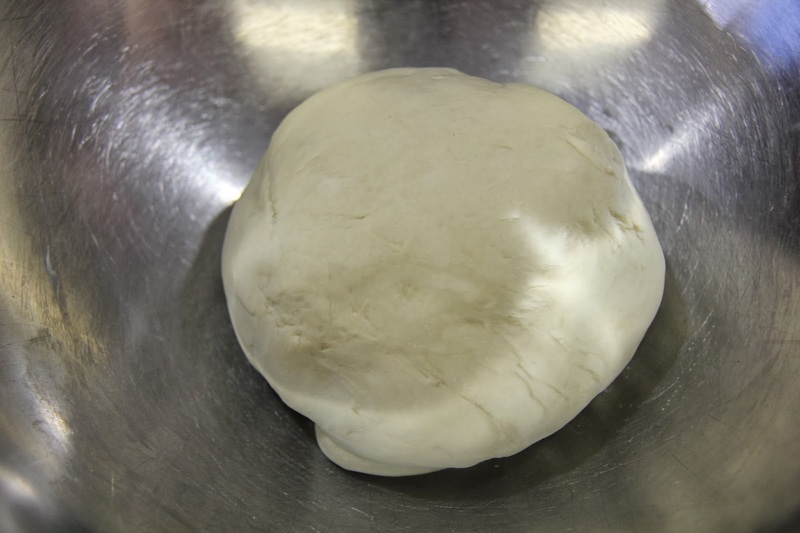 If your dough is too dry add little more water.Knead for a good 5 minutes. 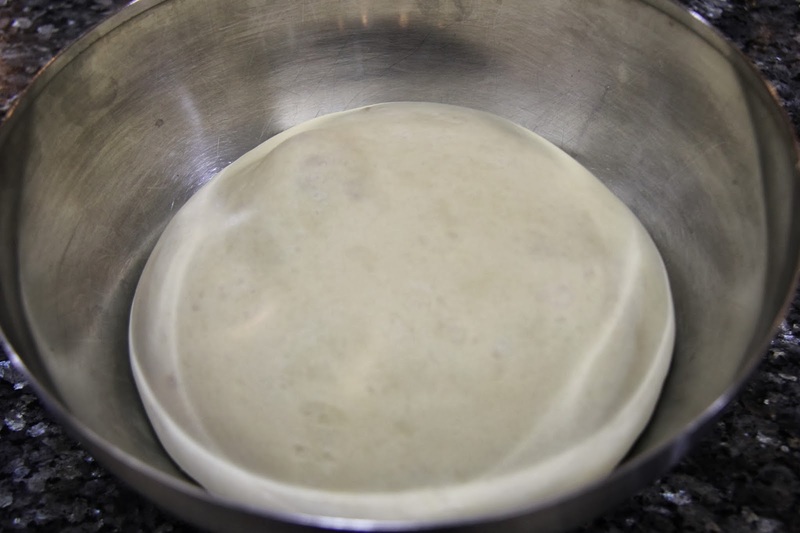 5.Cover with a cloth and let dough rise for 2 hours in a warm place.It will double in size. 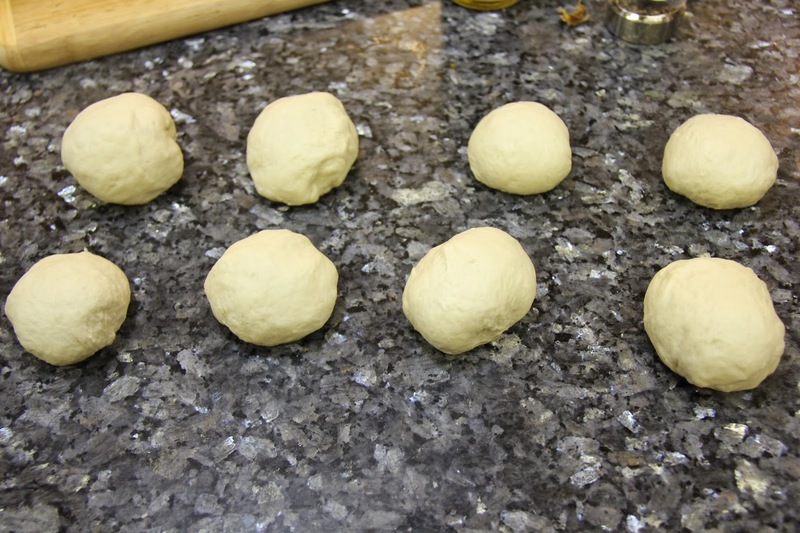 6.Divide the dough into 8 pieces and make roundles. Try to pull the dough from the sides and tuck it in at the bottom, this will help build a pocket.Cover and let rise for another half hour. 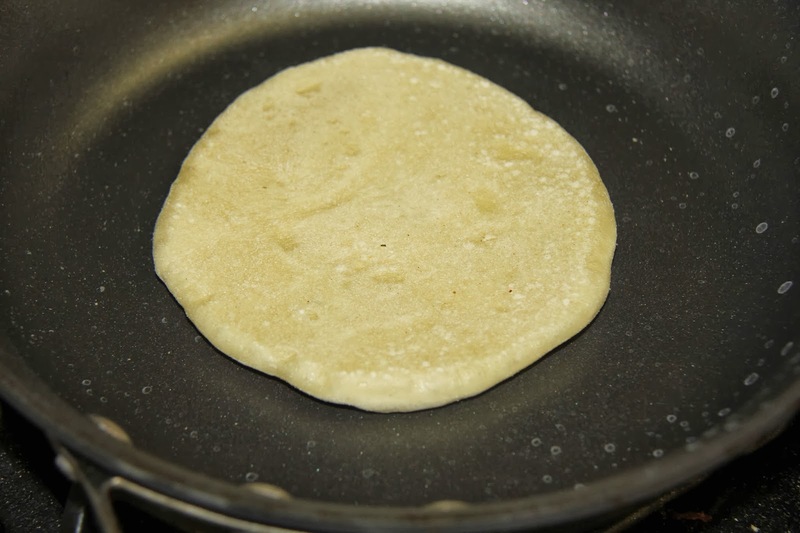 7.Sprinkle with some flour and roll it out into 1/4 inch flatbreads. Cover and let rise for 10 more minutes. 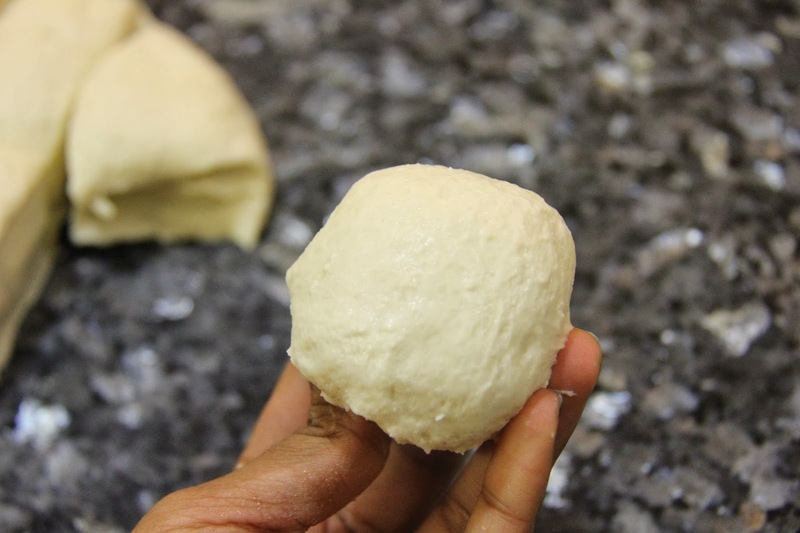 8.Heat a pan and cook the dough until it starts to puff up and turn over and let it puff up. 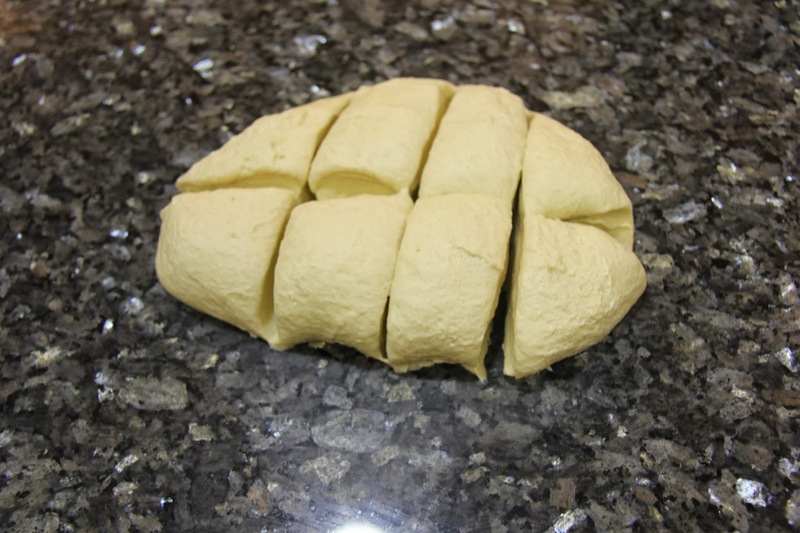 Keep tapping the dough with a paper towel or a clean cloth, it will help the bread puff up. 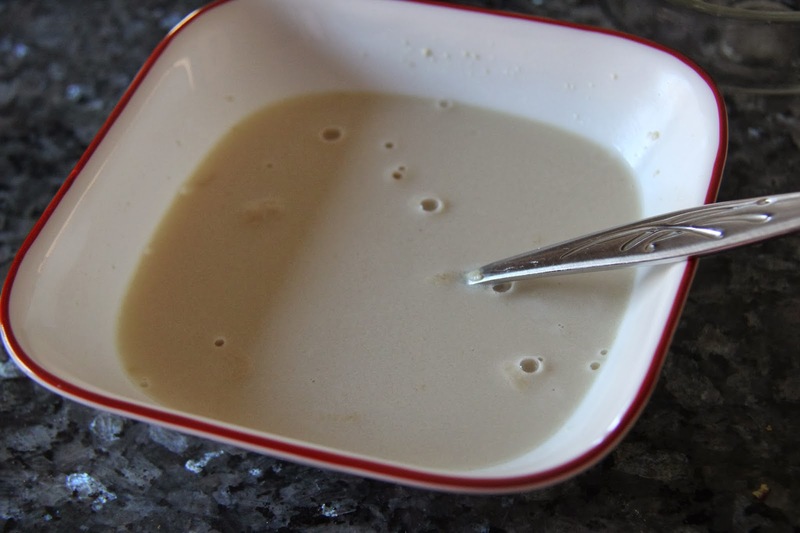 Once both the sides have brown spots remove from pan and serve. Pita bread is served with many dips like baba ghanoush,hummus etc also served as a part of Mezze platter. 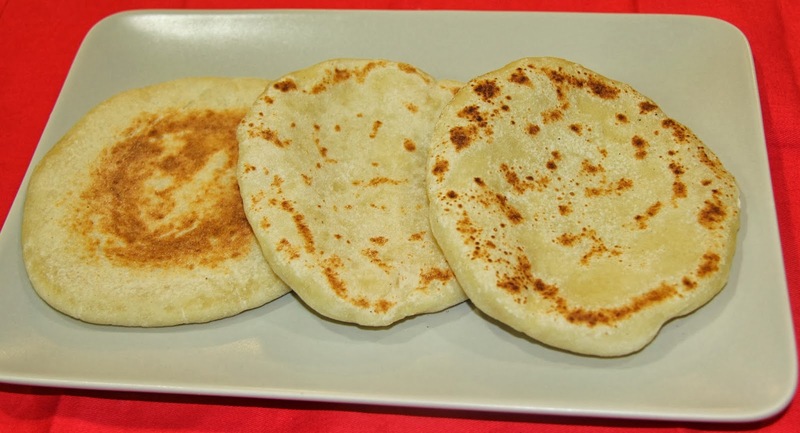 If you cut the pita in half it will form a pocket,you can really stuff it with any vegetables,curries,chicken,lamb etc just like you do with sandwiches. 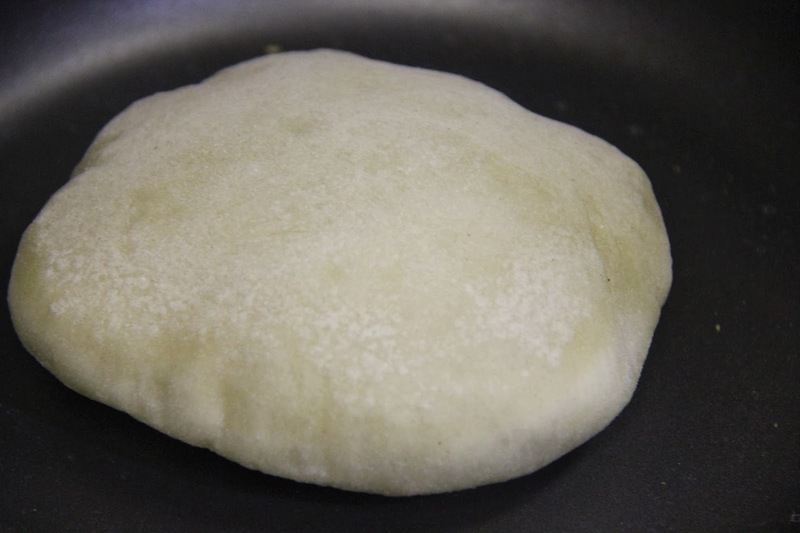 If you have bigger pans you can make bigger pita breads. 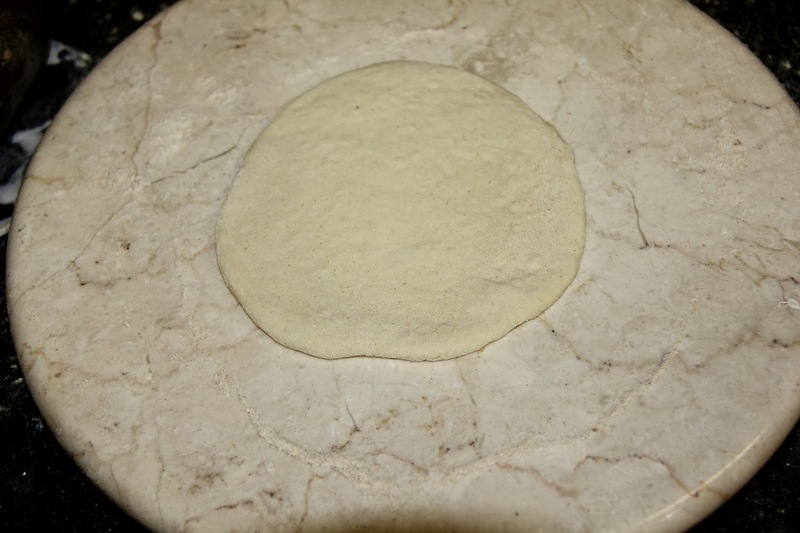 You can also use the pita bread as a base for pizza and top it with marinara sauce,cheese etc.